2019 UTME: JAMB releases new date for exam slip printing and other new informations. The popularly known examination, taken by students that are willing to go to Universities in Nigeria, Joint Admission and Matriculation Board, JAMB, its board has come out again with another news. 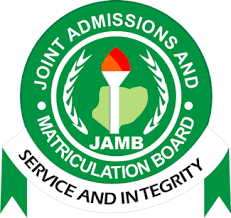 The Joint Admission and Matriculation Board (JAMB) has again rescheduled printing of the 2019/20 Unified Tertiary Matriculation Examination (UTME) slips to Thursday, April 4. The JAMB’s Head of Media and Publicity, Dr Fabian Benjamin disclosed this in an interview with the News Agency of Nigeria (NAN) on Tuesday in Abuja. The printing of the examination slips was initially scheduled to begin on Tuesday, April 2 as every student were aware of.But the JAMB head, Benjamin said the shift in date came after 14 Computer-Based Tests (CBT) centres were on Monday, suspended due to infractions during the board’s conduct of Mock UTME, including an incident where JAMB staff were attacked at one of its centres. “The suspension has caused some distortion in the initial arrangement and the board will have to relocate candidates who were scheduled to write in the affected centres to other suitable centres. “We all know that one of the essences of the mock exercise was to check the level of preparedness of not only candidates but also centres that keep to the rules and regulations of the b“It is to check on centres that are desperate to cheat and to make sure that they do not achieve their aim. “Immediately after the exercise yesterday, we went into a meeting and examined the conduct of the exercise, identified the structural problems and made adjustments immediately. “We want to ensure no centre fails during the conduct of the exercise. “So we need today and tomorrow to redistribute the candidates affected by these suspended centres who had planned to extort them, defraud and frustrate the system, to centres that are more suitable, then printing can begin ThursdHe added that the board was putting all hands on deck to ensure that candidates sat for the examination in centres where they were safe, suitable and conducive for the exercise that would be globally accepted. Benjamin apologised to all candidates of the examination for the inconvenience caused, adding that the board’s intention was to give its best. In case you have any suggestion or comment on this article or any message, feel free to comment in the box below. Topster Generallord is a certified blogger . This blog is specifically meant for passing latest information across.We wouldn't like to welcome any form of disclaimer or wrong use of the blog. TRENDING: Does Tiwa Savage Actually blasts Wizkid or Tee Billz? 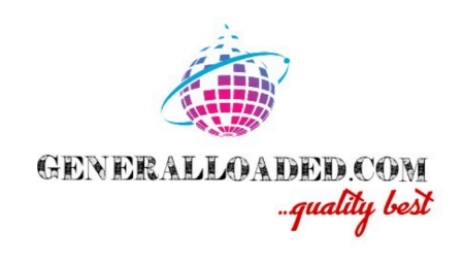 To enjoy more funny videos on YouTube, kindly subscribe to our channel @ Topster Generallord.